Nearly everyone loses if Trumpcare 3.0 becomes law except for the millionaires and billionaires. Basically it takes away lifesaving medical treatment from people struggling to pay their bills just so the uber rich can have another round of tax breaks. 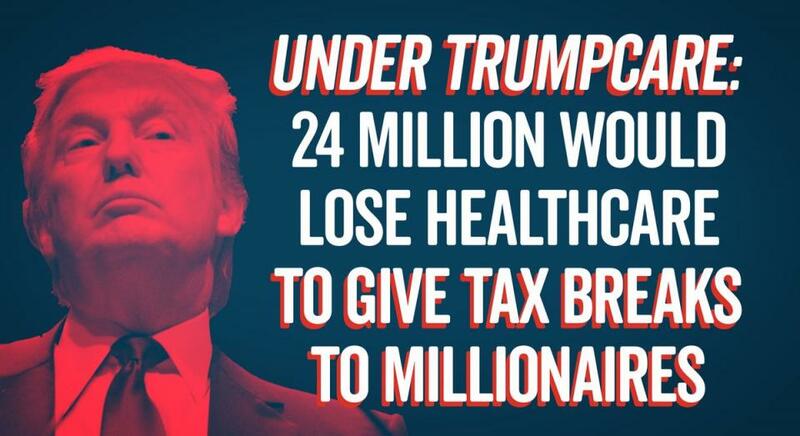 A minimum of 24 million people could lose their health insurance. That number will go up when the Congressional Budget Office scores the bill next week. Premiums will spike insanely for people who are older than 50. 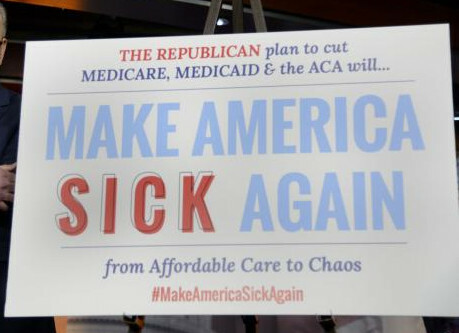 Medicaid, the program that protects children, seniors, the working poor, and people with disabilities -- will be gutted. Medicare will lose $117 billion that will be put into the pockets of the rich. It's not a Healthcare bill it's a Wealthcare bill. We could go on for pages about how bad this is, but Senator Bernie Sanders summed it up the best in two minutes during an interview with Anderson Cooper. Click on the audio player below to hear the audio clip. This clip was recorded on May 4th 2017 from CNN's Anderson 360. Trumpcare will be a disaster and hurt millions of Americans - just listen to Senator Bernie Sanders describe how bad it will be, especially for those who have the toughest time paying for healthcare (36 second audio clip below). This was recorded on March 8th 2017. Senator Warren cuts thought the bull and exposes Donald Trumps' nominee, Betsy DeVos, for the ignoramus that she is. This small-minded billionaire has no experience in public education, management, nor did she even send any of her kids to a pubic school or college... yet the Republicans are about to make her education secretary. This is a 5 minute clip from last weeks Senate hearing. Click on the audio player below to listen now, or download a copy of this file to listen to later.